Do you consider yourself a humble person or a prideful person? I think if we looked truthfully within ourselves, we are all prideful. We all want to get a better job, car, house, etc. It’s something that we all struggle with, since we are human. However, how can you keep your pride subdued and not take over? You humble yourself. You remind yourself that you are in fact not better than anyone else. We each have our own unique God given talents, and are each made perfectly. “Be Still” https://lindagoodall.wordpress.com/2013/08/13/be-still/ ) my husband, our friends and I are volunteering at the summer camp, Camp Mini Yo We, that our kids attend. During our time here, my girlfriend Christy and I clean toilets (yes, even the boys bathrooms!! Yuck! 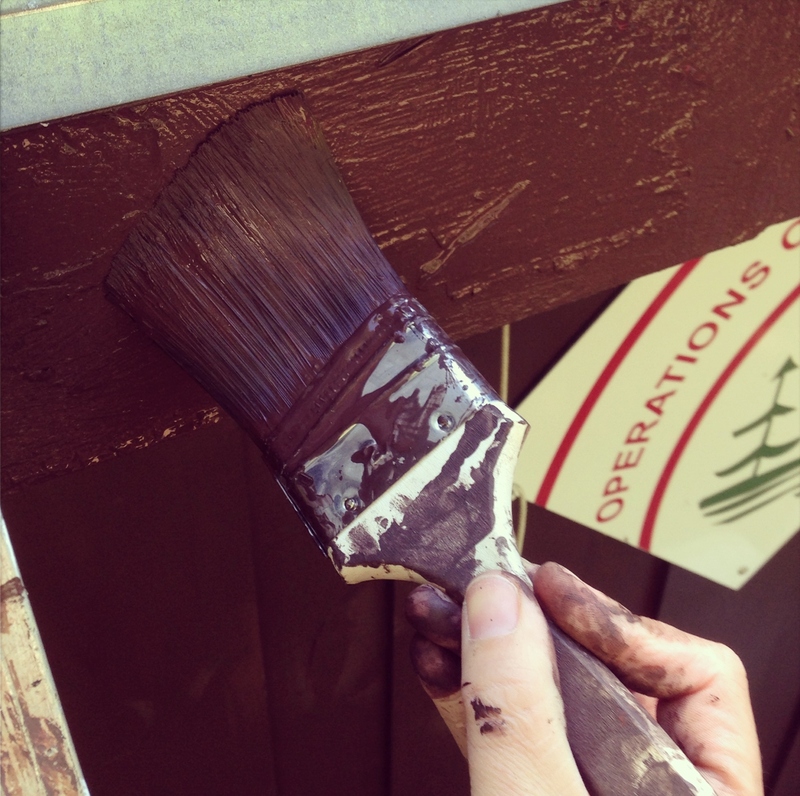 ), we pick up garbage, we scrape and paint buildings. Basically, we do whatever we are asked to do. And the main thing is, is that we do it with JOY. 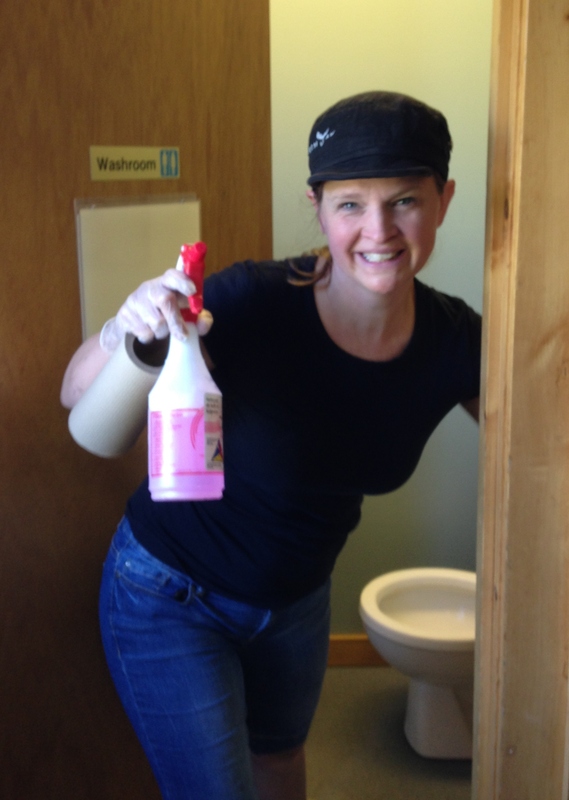 People ask how we can clean approximately 100 toilets. The answer is easy. Someone has to do it, so why not us? At times, we’ve cleaned toilets with executives from Toronto, principles and pastors. They don’t think better of themselves, role up their sleeves, get right in there and clean. 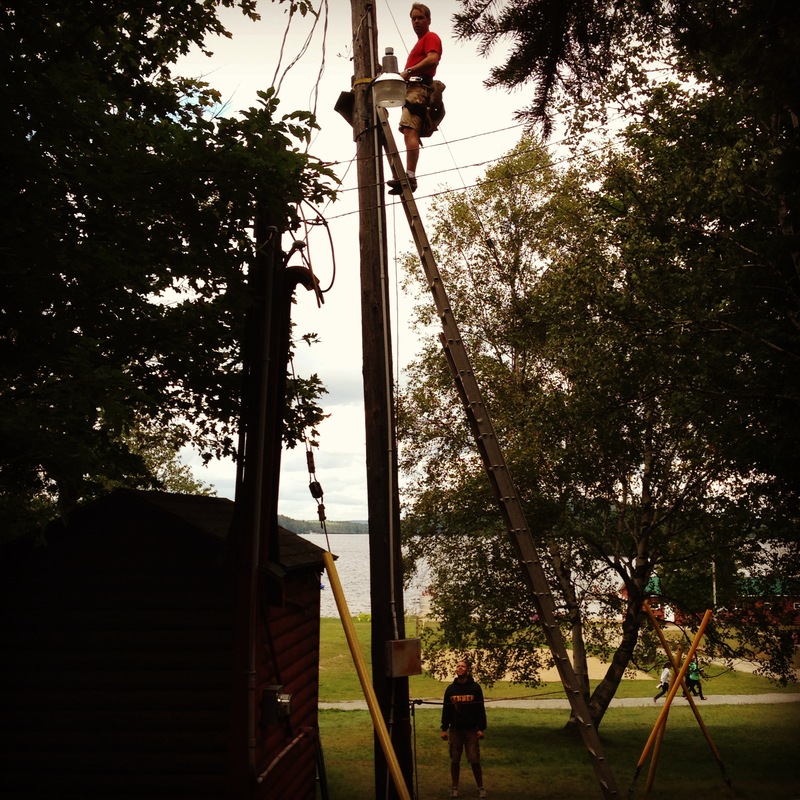 And as we work at whatever job we get, we can hear and see the children at camp laughing, playing, learning, growing. THAT is what it is all about. And even beyond that, what an excellent example to our children. They see us doing all the different jobs, laughing and enjoying ourselves. As they are going about their day, mountain biking, swimming, archery, etc., they see us working. One of our girls even called us the “janitors”. 🙂 We hope they see that they too can serve humbly, without pride. My husband is an electrician by trade. He loves being able to use his skills to help out at camp. Kevin and our friend Jeff usually get a list of jobs that need to be completed, and work at it during the week. The Operations Director, Ted, at camp is amazing. He has a huge responsibility to oversee staff, volunteers, LIT’s (Leaders in Training) and anyone else that ends up on his work crew. With three camps (Girl’s, Boy’s and Discovery) on over 150 acres of land, that is definitely a huge job! But working for Ted is fantastic. You can see that he is doing his job for God’s glory, and his joy is contagious. It’s wonderful. He is one of the most humble men I know, and I respect him greatly. God humbled himself when he sent his son to earth. Jesus could have been born in a palace, with a queen for a mother. But he choose an average, common woman, who bore him in a stable. Now that is pure humility. One final word about what serving humbly can do. It actually makes YOU feel good. By helping others, you in turn feel great. If you struggle with any mental illness or are having a down day, the best way to combat it, is to serve others. What an awesome added bonus! Overall, why serve with humility? Now, don’t get me wrong. It is good to take pride in your work. 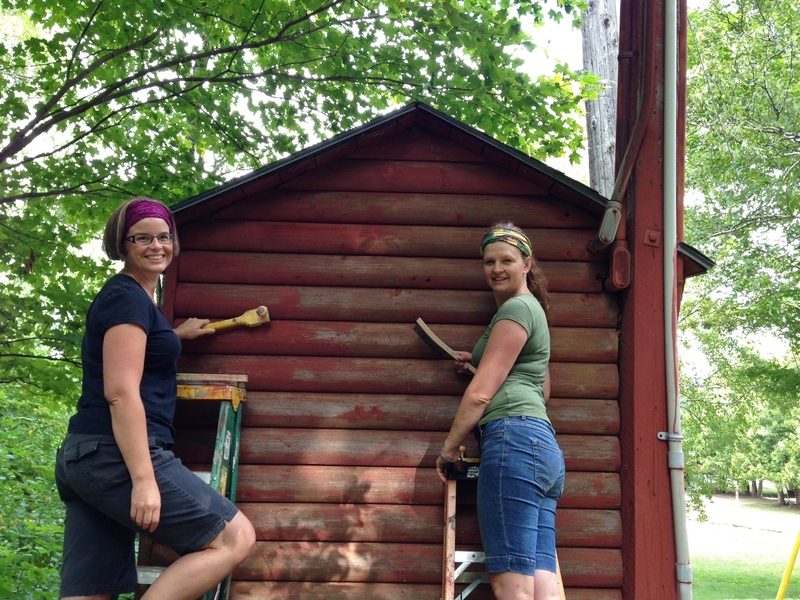 We felt great when our buildings were painted and the bathrooms clean. Christy and I even took the rest of the Operations crew on a tour of our painting buildings. ha!ha! And then we went on a tour of their jobs, too. Ditches dug, lights installed, landscaping complete. It was awesome to see the work we all did throughout the week. As long as you don’t start comparing your work to others, and judging yours better than theirs. How do you keep yourself humble? Don’t think you are better than you really are. Next PostNext That Voice That Says You Can’t Do It…IS A LIAR!